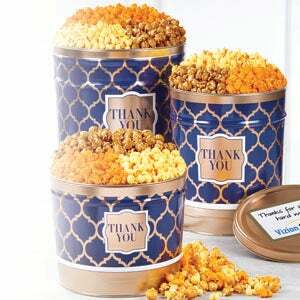 Send one of our Greeting Cans® as a Thank You, Happy Birthday, or Congratulations treat! 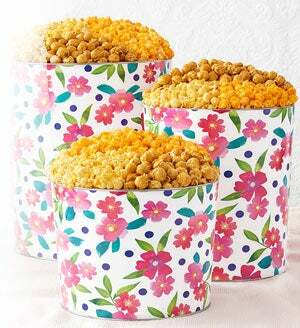 Filled with our sensational popcorn and snacks, then decorated with bright colors for an exceptional greeting, they'll be very impressed with your thoughtfulness--not to mention the popcorn party that's going on inside. 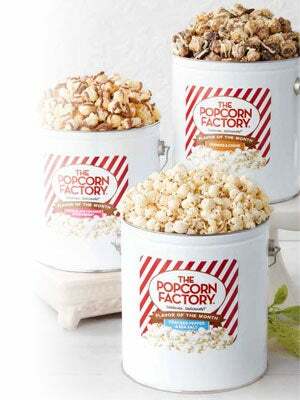 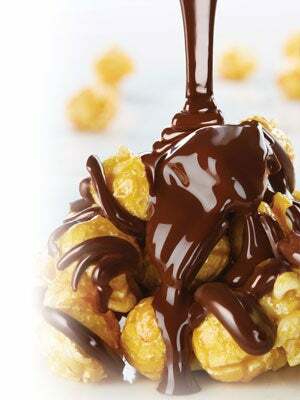 Let gifts these speak for you, the delicious popcorn speaks for itself!